“This partnership is important for PAL because it will allow us to tap into Power Mac Center’s market. Since we have the same brand profile, this will allow us to reach their customers and engage them,” said PAL’s Asst. VP - Loyalty Program, Marietta Casanova. From October 1 to November 15, Power Mac Center customers who are PAL Mabuhay Miles members with a minimum purchase of ₱80,000 in a single transaction receipt will get 10,000 Mabuhay Miles. And if a single purchase transaction fetches more than ₱120,000, customers get double the miles or 20,000 Mabuhay Miles. 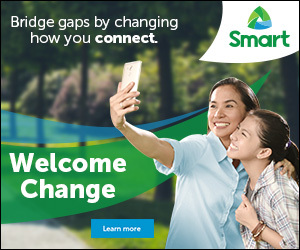 “Our latest promotion aims to reward customers of Power Mac Center with the chance to enjoy their Apple devices while traveling with the country’s premier flag carrier, Philippine Airlines,” said Power Mac Center Marketing Director, Joey Alvarez. Power Mac Center store staff will have the customer fill out an online form with his/her Mabuhay Miles ID details using the device inside participating Power Mac Center branches. 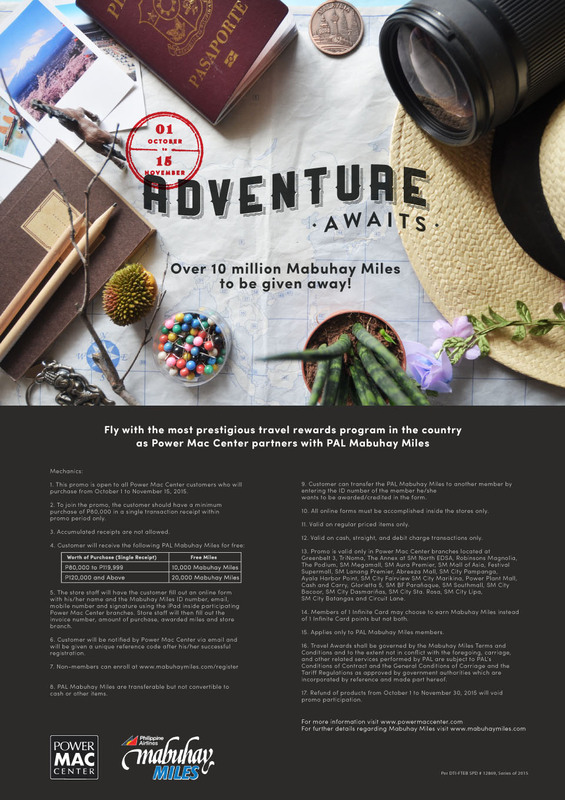 Customers who are not Mabuhay Miles members yet can sign up for free and earn points when they purchase from Power Mac Center. Customers will be notified by Power Mac Center via email and will be given a unique reference code after his/her successful registration. The credited miles can be checked online by logging in at PAL’s website from December 15 onwards. 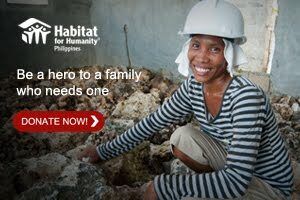 For more information about the promo, visit any of Power Mac Center’s 26 branches, or go to www.powermaccenter.com.